Bill de Jonge takes a high-service, low-pressure approach with my real estate practice. Bill de Jonge provides buyers and sellers with a thorough, no-nonsense market education that is designed to help clients make informed decisions. Bill realizes that, for many of his clients, their homes are their largest financial investment. He combines a corporate financial management background with a successful real estate practice to give his clients unique real estate perspective. He has the tools necessary to facilitate the home selling and purchasing process. Bill will work diligently to develop a high level of trust with my clients. "The End Result is a Positive Experience"
Buying and selling a home can be a highly emotional and demanding experience. Bill de Jonge walks his clients through the process with open lines of communication. Additional resources may be required to finalize a home sale. In most cases Bill has the resource network necessary to fill in those requirements. He takes great pride in helping clients realize their dreams – whether it’s buying a first home, upsizing, downsizing or right-sizing. 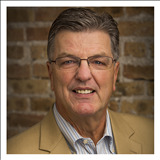 Bill de Jonge is a lifelong resident of the Chicagoland area. He has lived in the LaGrange Historic District for nearly 20 years. Bill's market focus is the Burlington corridor from Riverside to Western Springs. However, Bill is well versed on all neighborhoods and can work effectively in most collar Chicago neighborhoods. Bill de Jonge knows the market! Bill de Jonge is an active member of the community of LaGrange. He has served on the Citizens council, a slating organization dedicated to finding the best candidates for board positions in La Grange. Bill is also active in the Prairie Federation Indian Guides; a father and son organization. "Sold our home and helped us buy our new home. Bill was able to sell our house (a very difficult property to sell on a busy street) in only one week! He told us how to stage the house and I am certain that following his instructions is what led to our quick sale. " "Bought in 2014 Bill was really great helping me find and purchase my first home. His knowledge of real estate, financing and the entire home buying process was incredible. It seemed like every time I looked at some listing with him I learned something new about what to look for (or avoid) in a home." "Bought with Bill in 2010 Bill was our selling agent, and we found him to be extremely knowledgeable about the real estate industry. He held himself to high standards, which showed in the professional way he conducted himself. Bill surrounded himself with skillful and experienced associates, resulting in top-quality work. The photos taken of our property were impeccable. He is perceptive to the market and offered excellent suggestions and ideas. Bill listened to our concerns and encouraged us not to lose heart during the "bumps in the road"." "Listed with Bill in 2015 Bill was our selling agent, and we found him to be extremely knowledgeable about the real estate industry. He held himself to high standards, which showed in the professional way he conducted himself. Bill surrounded himself with skillful and experienced associates, resulting in top-quality work. The photos taken of our property were impeccable. He is perceptive to the market and offered excellent suggestions and ideas. Bill listened to our concerns and encouraged us not to lose heart during the "bumps in the road"." "Bought in 2010 and sold in 2014. Bill was very professional and patient during our buying process. He educated us on the market and the overall process of buying a home. Bill is very knowledgeable of the west suburban market and he was invaluable in advising us on the fair market value of the homes we viewed. When it came time to make an offer he outlined a negotiation strategy that worked to perfection. When it came time to sell Bill executed a marketing plan that sold our home quickly in a difficult market. We would recommend Bill to anyone who needs a real estate agent. " "Sold our home in2013. Bill deJonge is an extremely conscientious realtor. His attention to detail was evident throughout our selling process. Bill made sure our property was market ready by staging the inside and managing the outside in order to maximize curb appeal. He has a network of professionals to make improvements and fix problems that allowed us to get to market quickly. He had an excellent marketing plan that allowed our house to be viewed by the greatest number of potential buyers. Bill is a skilled negotiator and he managed the sometimes contentious process of getting the deal closed. "